"Think of us as bananas. Obviously, I am Top Banana. The Big Banana. Numero Uno Banana. 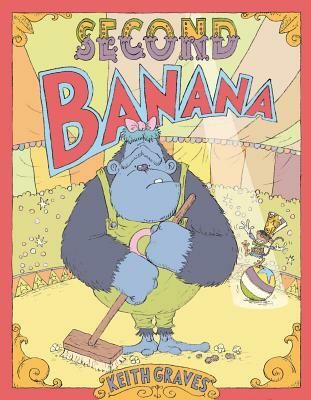 You are Second Banana," says the Amazing Bubbles, the star of the circus. And what does Oop, the Second Banana, do? A Second Banana helps fill the pool so Top Bananas can dive. They hold the music so Top Bananas can entertain the crowd. They keep the tires full of air so Top Bananas can drive. In short, they are not the stars of the circus. But what happens when a Top Banana gets hurt and an eager Second Banana has to stand in his place?